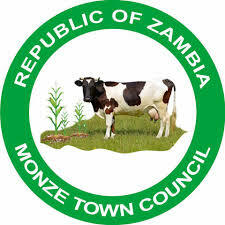 THE public health section of Monze town council has seized assorted expired and counterfeit items from shops in the district. According to Monze district council public relations officer Nelson Kazeze, the seizure was in accordance with the food and drugs Act Cap 303 section 4, 6 and 7 of the Laws of Zambia which prohibited any person from packaging, treating, processing, selling or advertising any food in a manner that was false, misleading or deceptive as regards in character or safety or in contravention of any regulations made under this act. Kazeze stated that the Act further prohibited any persons from selling to the prejudice of the consumers any food which was not of quality as demanded by the consumer. “The owners of the goods have since been slapped with K450 fines failure to which they will appear in court after seven days,” Kazeze stated. He stated that the council was cautioning shop owners against stocking products that did not conform to the standards as they risked being taken to court once found. “The local authority is also appealing to residents to be on high alert and counter-check items to avoid buying expired or counterfeit products. As a local authority, we shall continue to undertake such operations to ensure conformity and compliance by all business owners,” stated Kazeze.